There is a very, very small list of authors that I will instantly buy their newest release without needing to read a bunch of reviews or even finding out what the book is about. These are authors that have proven time and time again that they can provide great storytelling with interesting characters in realistic or wondrous worlds. David Levithan is one of those authors for me. His novels and collaborations are a treasure to the Young Adult genre, and his latest effort, You Know Me Well, co-authored with the equally as talented Nina LaCour, is another must-read to add to your collection. Most of us go through high school seeing the same people every day but never really knowing most of them. That’s the case for Kate and Mark, classmates whose paths never crossed until one fateful night at a gay club in San Francisco. For the first time, Mark is trying to come out of his shell; he convinces his best friend, Ryan, to sneak out of their sleepy suburb to go to the city and take part in Pride festivities. Mark is also in love with Ryan; while they have fooled around, Ryan has never indicated that he wanted more than friendship with Mark. Hoping that a change of scenery might open Ryan up to something new between them, the plan backfires as Ryan hits it off when another guy at the club. As for Kate, she’s about to meet the girl of her dreams, a girl she has imagined and adored for what feels like forever but she has yet to actually meet. And it freaks her out, so much so that she runs and seeks refuge in a bar where she bumps into Mark. Their chance meeting takes them on an emotional week-long journey. Levithan and LaCour conjure up two real characters and weave a very personal story of what it means to fall in love, be loved in return and feel the heartache of unrequited love. The story unravels piece by piece slowly, with alternating chapters from Mark and Kate’s viewpoints. It’s intimate, honest and you can’t help but wonder just how personal these authors are getting with these characters and their truths. Mark’s pain from the fact that Ryan doesn’t love him in the way he wants him to is heartbreaking, as is Kate’s fear of not being good enough for her very real dream girl. You Know Me Well is a touching coming of age story about two young people who are both eager and scared of what the future holds for them. Love, friendship and heartache are explored in this thoughtful story of finding yourself with the help of someone who truly “gets” you. 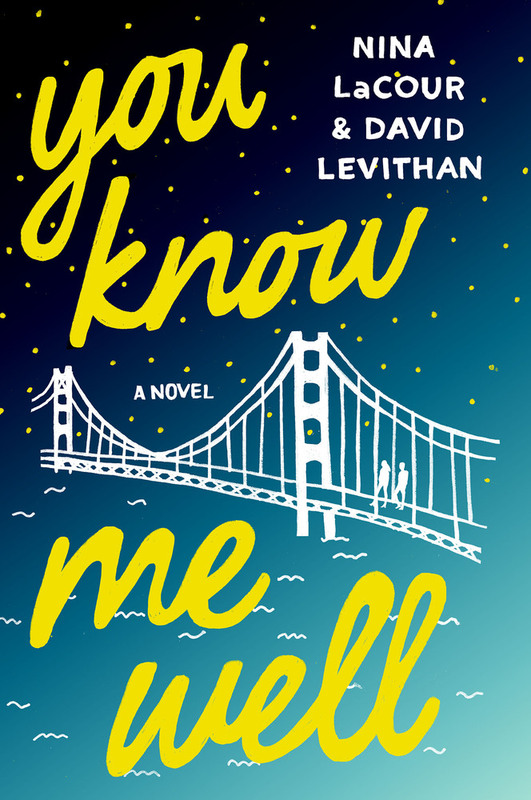 You Know Me Well by Nina LaCour and David Levithan is now available in stores.